Melanesia is a subregion that extends from the western end of the Pacific Ocean to the Arafura Sea, and eastward to Fiji. The region comprises the countries of Vanuatu, Solomon Islands, Fiji and Papua New Guinea. Besides these independent countries, Melanesia also includes New Caledonia. Unreached People Groups, such as the thousands of Muslims of Javanese or Arab desent and the Caledoche in New Caledonia. The metropolitan French bureaucrats and business people who only stay a few years and are typically "forgotten". 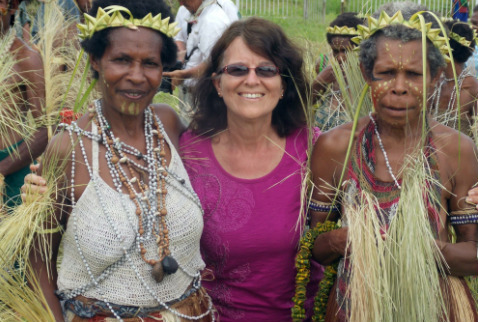 Bible translation is still a challenge as multiple Melanesian languages are now used in the schools. Pray for the ongoing work and for the calling and equipping of new translation teams. In Paupa New Guinea, AIDS is an impending scourge with HIV approaching a pandemic comparable to that of sub-Saharan Africa. Lack of awareness is a major challenge: mostly spread through sexual immorality, HIV is often attributed to all kinds of causes, some superstitious. Praise God for the completion of Bibles in Futunan and Wallisian and of the New Testament in Paici!